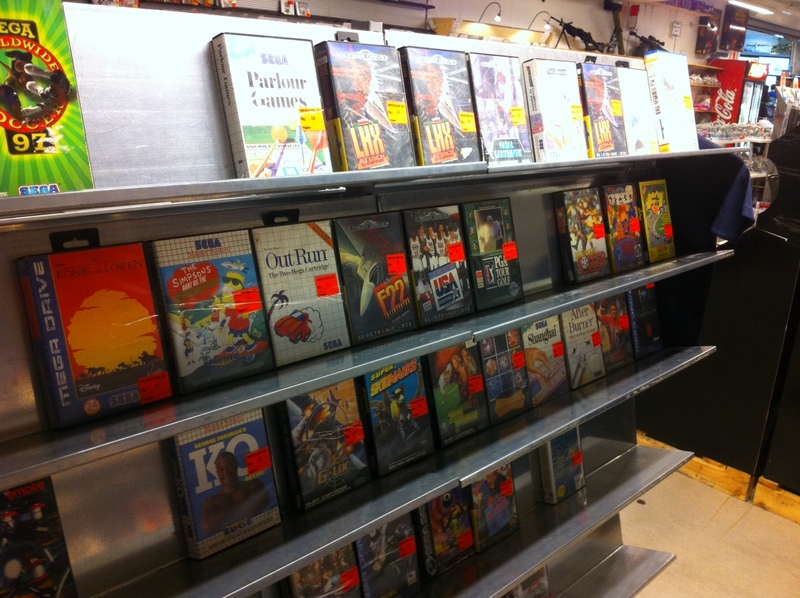 I decided to fill in yesterdays post with some more images from the same shop although these pictures are more about the SEGA stuff that i found as that was actually quite fascinating for me since i have never seen SEGA Saturn games on display in a real shop before. While i own/have several of the Saturn games in this picture i still just had to take a picture of them and i bet mine is in better condition too as quite a few of the games was used and used i mean…used by noncollectors or whatever… (scratches, plastic torn etc). A few nice games here, Need For Speed is there and interestingly it is the very first release too as when the game got too popular they went and produced a cheaper box and design for it, Digital Pinball is there and that is one of the best pinball games out there IMO and is only beaten by Slam Tilt although now that we have Zen Pinball 2 and Pinball Arcade this is debatable but still… both serves a very warm spot in my heart. 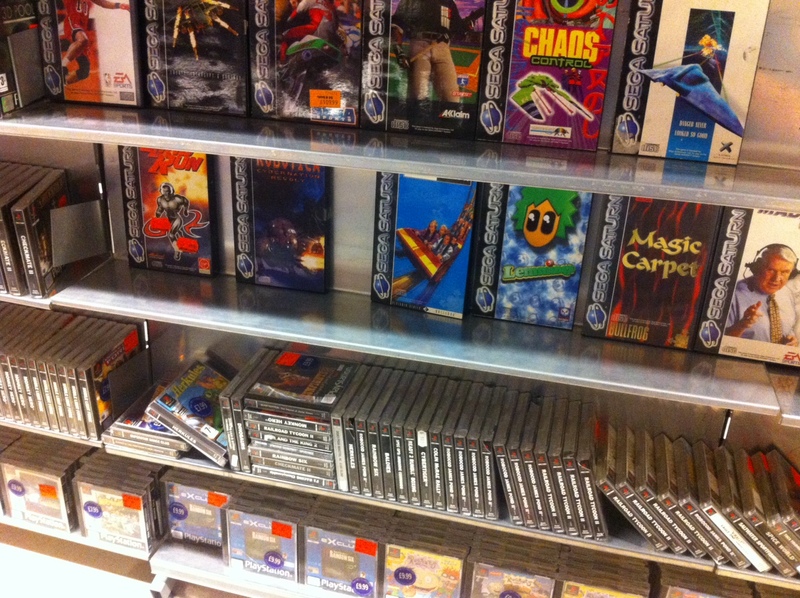 Some PSone games on the bottom there, i am not sure if i even checked those…. gah!. 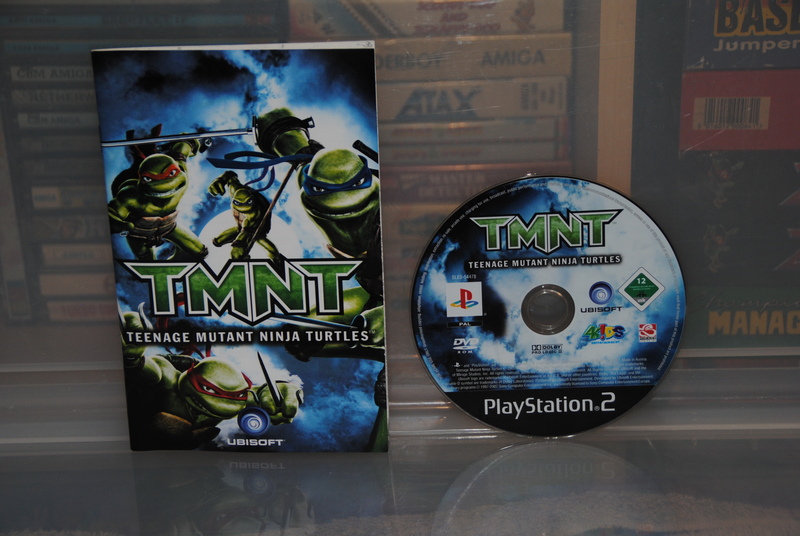 Anyways there were mint copies of Magic Carpet and lemmings there too, Wipeout, Tomb Raider, Virtua Fighter and many more so all in all one could find some nice games here and i am sure the prices wouldn’t be as bad as the pricing says.. i mean.. you already read what i wrote last night about those PSone games right?.. Just had to include this one too, i am a sucker for Out Run, any game in the series..any format.. every format, every release version!… and here i found it for Sega Megadrive, i did not buy it because the box was broken and when i moved the box around i heard noises inside…so something was broken in it… i decided to skip it… i regret it… i honestly do but i am 100% sure i will find this game again at one point. I love going to game shops, i love going to old-school game shops!, i wish there was more of them around here… closest one is 13 hours by car from here… and NO, GameStop does not count as they barely do PS2 games now.